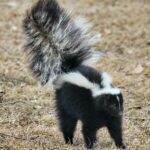 When it comes to wildlife invasions, one of the biggest concerns most home and business owners tend to have involves the damage caused to property, in addition to the overall stress. But the biggest concern of all is the health hazard. Wildlife can transmit all sorts of diseases to humans and domestic animals, amongst which the most worrisome happens to be rabies. 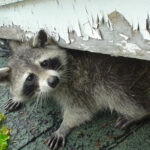 Raccoons and other mammals like bats tend to be typical carriers and transmitters of the virus, so professional raccoon removal and animal control services should be your top priority if you’re suspecting the presence of such rabid animals anywhere near your property. Here’s everything you need to know about this dangerous disease. Believe it or not, rabies has been recognized for more than 4,000 years. A derivative of the Latin word “to rage,” it was an Italian physician named Girolamo Fracastoro who first discovered in the 16th century that rabies was, in fact, a fatal disease affecting both animals and humans. At the time of discovery, he called it “an incurable wound;” but it was French biologist Louis Pasteur that created the first vaccine to battle it back in 1885. The discovery of the vaccine was warranted by a visit to Pasteur by the parents of a 9-year-old boy named Joseph Meister. After discovering that a rabid dog had bitten their son, the parents pleaded with Pasteur to cure their son. Faced with this situation, the biologist came up with the theory that if he were to inject a weak form of the virus from one rabid animal to another, the second animal’s immune system would have a fighting chance to against the disease. His theory proved correct; the experiment was a success and Joseph survived. The highly effective rabies vaccines we have today trace their origins back to this unique case. Foxes are one of the common urban animals to carry rabies along with raccoons, skunks and bats. How Can Humans Get Rabies? Usually, the rabies virus will travel through the saliva of infected animals as a result of licks on broken skin, scratches or bites. A great majority of people who end up becoming infected are either scratched or bitten by a rabid animal, and the riskiest areas according to documented cases so far are the upper body and face. That said, there are a few cases in which the virus was transmitted via transplanted tissue or organs. On the other hand, it is very uncommon for the virus to spread among humans. Also, adults are four times less likely at risk of becoming infected than children and the risk is higher for boys than it is for girls. Why Is Rabies So Dangerous? According to the Canadian public health agency, nearly 100% of cases of clinical rabies are fatal – meaning, cases in which symptoms of rabies start to show. On the other hand, the vaccines we have today are very effective in battling the disease; in most cases, people who are exposed to rabies and are immediately treated with a post-exposure prophylaxis vaccine immediately often end up not getting sick at all. The biggest risk for people exposed to rabies is getting bitten or infected and never reporting it to anyone, resulting in never receiving treatment. How To Proceed If You Get Infected? Immediately flushing and washing the wound with soap and water is the first step you need to take if you’ve been bitten by an animal and you think you might have been exposed to rabies. The second step is extremely important; it involves seeking out medical attention almost instantly and contacting public health officials to get advice on treatment. The reason for such haste is that the disease is entirely preventable if the proper treatment is given early before symptoms develop. Depending on a number of different factors, like how much protection was provided by your clothes, the strain of rabies, where the wound is in relation to one’s nerves and the severity of the wound itself, symptoms can take between 20 and 60 days to appear. Keep in mind that suspecting that you have a raccoon or other wildlife animal in the home requires professional raccoon removal and animal control services. This is where Skedaddle Humane Wildlife Control is at its best and can guarantee a swift and effective reaction and solution to the problem. At the same time, if you have any reason whatsoever to suspect the invading animal is rabid, please don’t hesitate to contact professional animal control services to take the call.